To visit Tang Valley you have to drive from Jakar towards the west-east road that goes to Ura for 10 KMs. Then through the unpaved roads you will finally reach this beautiful valley. This is the road which can take you to the lake of Membartsho and Pema Tekchok Choeling Shedra. Through this road you can also visit such as Kunzangdrak where you can opt for hiking, Tang Rimochen Lhakhang, Gamling and Wobtang. 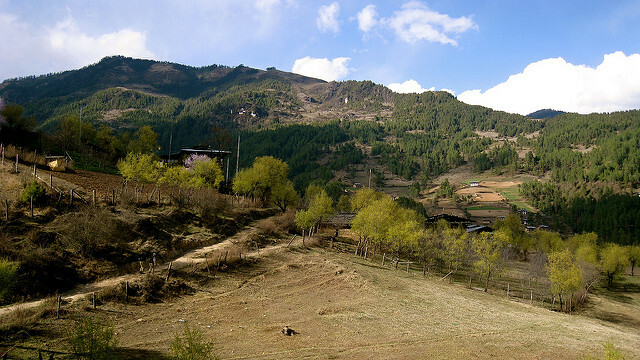 It is one of the four valleys of Bhumtang and the most remote of all. The valley looks beautiful during the season of October as due to rich agriculture the valley turns pink with Buckwheat flowers. The inhabitants of this valley raise sheep and yaks mainly at higher altitudes. The soil here is not that much fertile as other places.